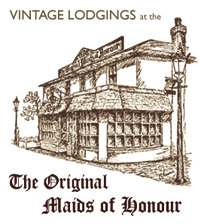 “We had a lovely stay at Maids of honours. The accommodation was very comfy and quiet, me and the girls slept very well. The staff were friendly (the lady who showed us our room and the girls in bakery) and breakfast good. It was lovely to stay at a place with such history too and mouth watering tarts!